While Odebrecht’s release was expected, it underscored the inequalities in Brazil’s criminal justice system, in which corruption and white-collar crimes generally receive little jail time. 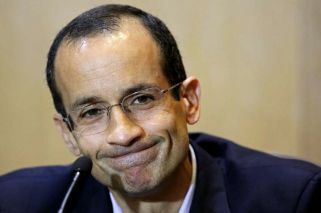 Marcelo Odebrecht’s release from jail to serve house arrest came a day after Brazil’s top court halted investigationsinto several lawmakers, underscoring the limitations of the Lava Jato (“Car Wash”) investigation that uncovered nearly institutionalised corruption involving senior politicians in several countries and several major Brazilian companies. Odebrecht, who was CEO of the his family’s company of the same name, cooperated with prosecutors and testified that executives routinely paid bribes and made illegal campaign contributions to politicians in exchange for favours. He was originally sentenced to 19 years in prison, but, once he began cooperating, that penalty was reduced to 10 years, with the agreement that the majority of it would be served under house arrest. On Tuesday, Odebrecht left prison and went to the federal court in the southern state of Paraná, where an electronic bracelet was attached, the court said. Revealing the extent of corruption in Brazil was one of Lava Jato’s great achievements. The other was managing to put some of its masterminds, Odebrecht among them, in jail. But the investigation has slowed in recent months, and there have been accusations that President Michel Temer and other senior politicians are trying to hinder it. Some fear the new chief of the federal police will be less aggressive in investigating corruption, and others bemoaned the closure earlier this year of the taskforce dedicated to the probe. Temer has always maintained that he supports the investigation. 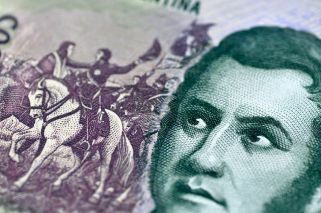 Despite its success in sending several businessmen to jail, the Lava Jato operation has also struggled to put senior politicians behind bars. That’s at least partially because sitting politicians have the right to be tried in the Supreme Court, where justice is slow and often deferential. On Monday, a Supreme Court panel voted two to one to stop Car Wash investigations against four members of Congress. The decision effectively shields them from investigation while they remain in office. Supreme Court Justice Gilmar Mendes also ordered house arrest instead of jail for Adriana Anselmo, wife of former Rio de Janeiro governor Sergio Cabral. Cabral has been convicted of corruption and is in prison, while his wife has been in jail accused of several crimes. “Brazilians, as a whole, are exhausted by this marathon of scandal, and it’s only natural that they would be disappointed by and exhausted by the absence of any real accountability,” said Matthew Taylor, an associate professor at the School of International Service at American University in Washington.